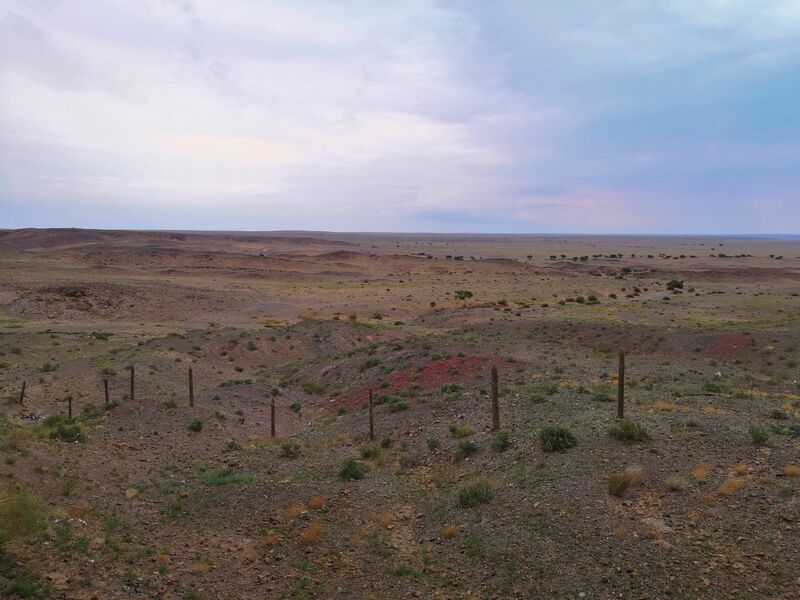 There are multiple ways to get to Mongolia from Beijing, some of them are easy some of them are cheap. However, none of them is both at once. Since we planned to visit China anyway, we just applied for a multi-entry visa and decided to take 310 EUR direct flight with Hainan from Prague to Beijing and then continue by a train. 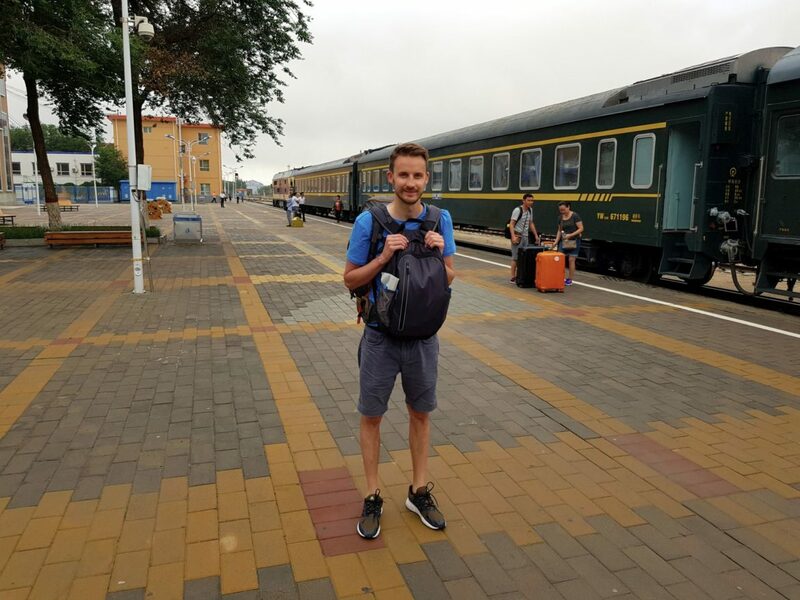 The direct train from Beijing to UB (that is how locals call Ulaanbaatar) would be at least 150 EUR and most probably sold out. As a result, we had to split our journey into Chinese and Mongolian legs and cross the border between Erlian and Zamiin Uud independently. 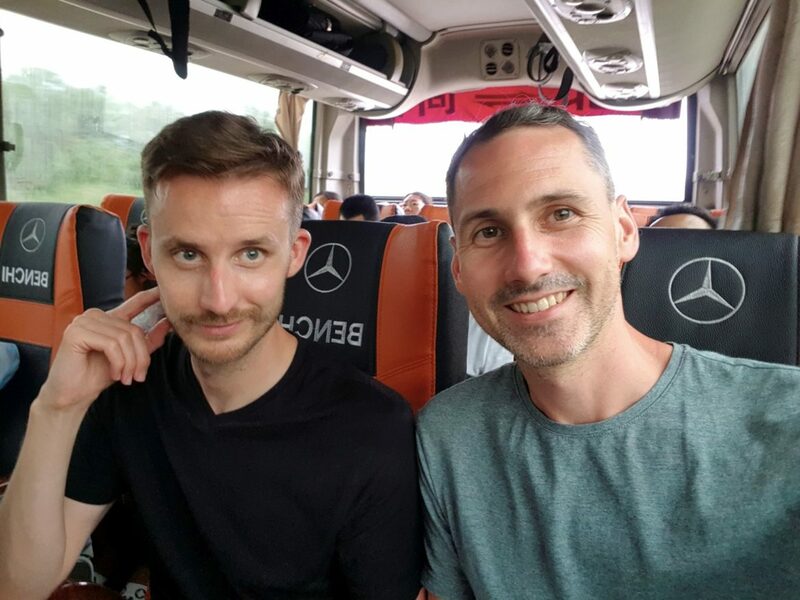 We planned our journey from Beijing to Mongolia via Datong to have a break and mainly to visit Hanging Castle and Yungang Caves and also get experience from the city itself. July is the peak holiday season, so train tickets are sold out even few days in advance. We are forced to take a bus from Beijing Liuliqiao Bus station which is easy to find if you know the right exit from the metro (not our case). But we managed to find it since there were some signs in the Latin alphabet. The station looks almost abandoned from the outside but inside it is pretty good, and you will find a grocery shop, toilets (not so good) and plenty of seats there. The bus goes roughly every hour, and we managed to get tickets for the next one at 11 am for 145 CNY per person. Boarding was smooth, and we left on time. Our bus has seats with new cover however everything else is dirty or not functioning or both. Other buses seem to be OK, so this is maybe an exception. The journey is supposed to take 5 hours (some sources even say 4 hours). 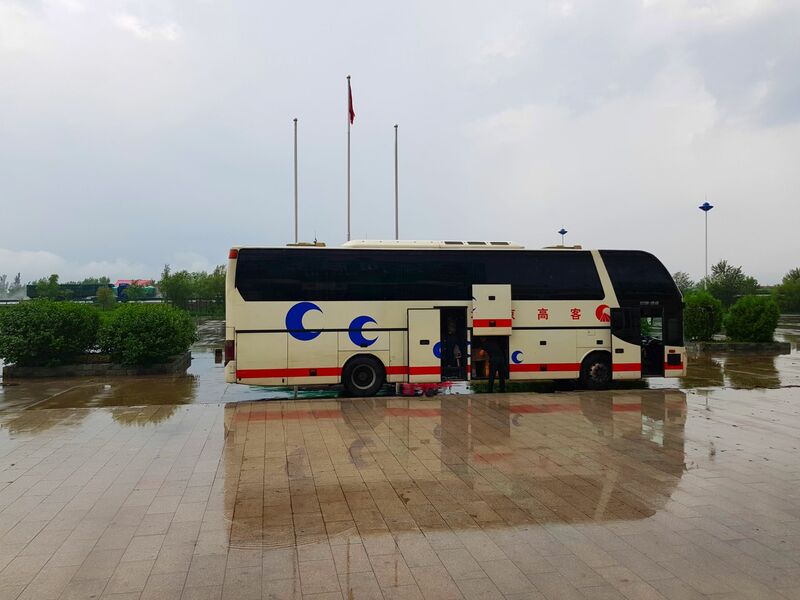 The reality was 7 hours with one stop at a clean rest station after 3 hours, and we are in Datong Xiangyngli bus station in the south of the city at 6 pm. There is a public bus station just next to where you get off the bus – I guess we took No. 11 to the city centre right next to the place where you get off the bus. You need to have 1 CNY to pay into a drop box. 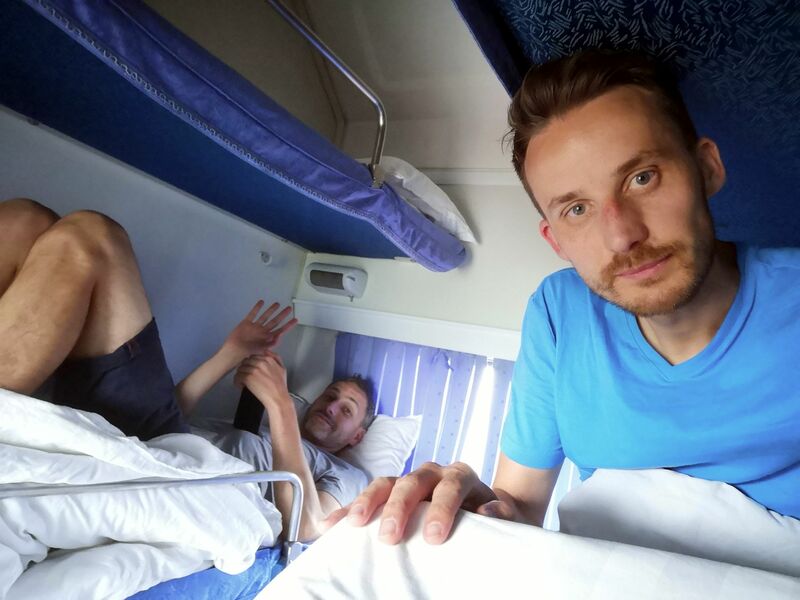 All in all, the train would be the better option since around 50 you get seats, and for 150 you would have the Soft sleeper, and it should not take more than 5 or 6 hours. 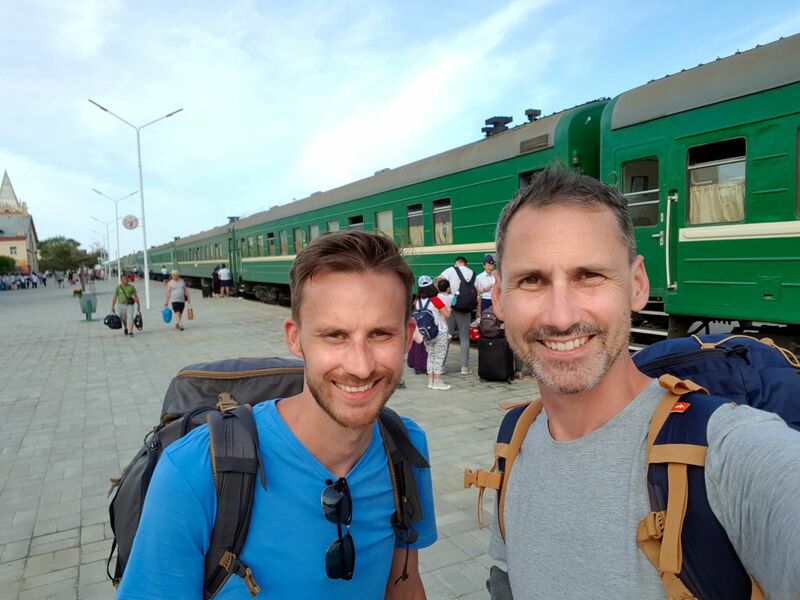 We need to secure tickets for the train to Erlian (for some reason Google maps call it Erenhot) just the next day after arrival to Datong. The process at the railway station was quite smooth, and we are successful. 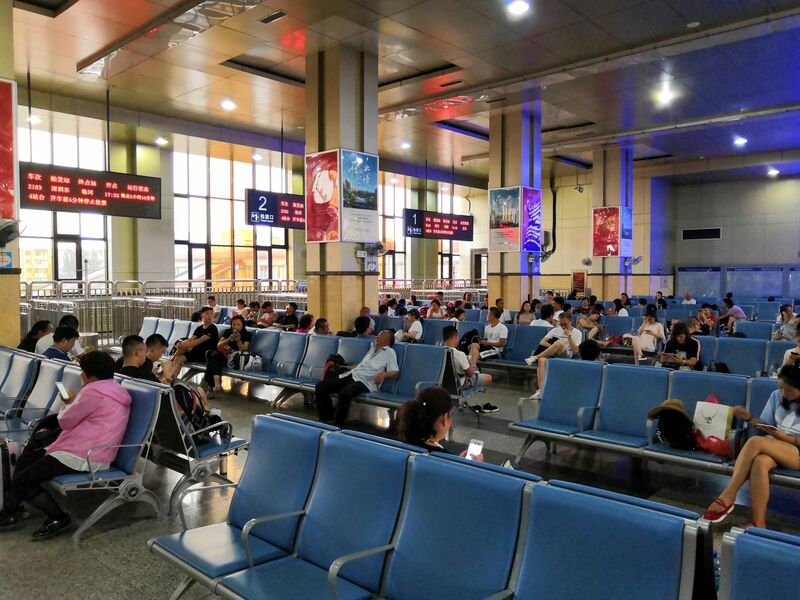 We bought the tickets for a train leaving at 5 pm from Datong to Jining South train station. The train goes every hour, and the journey takes 2 hours or less, so we opted for 20 CNY hard seats. 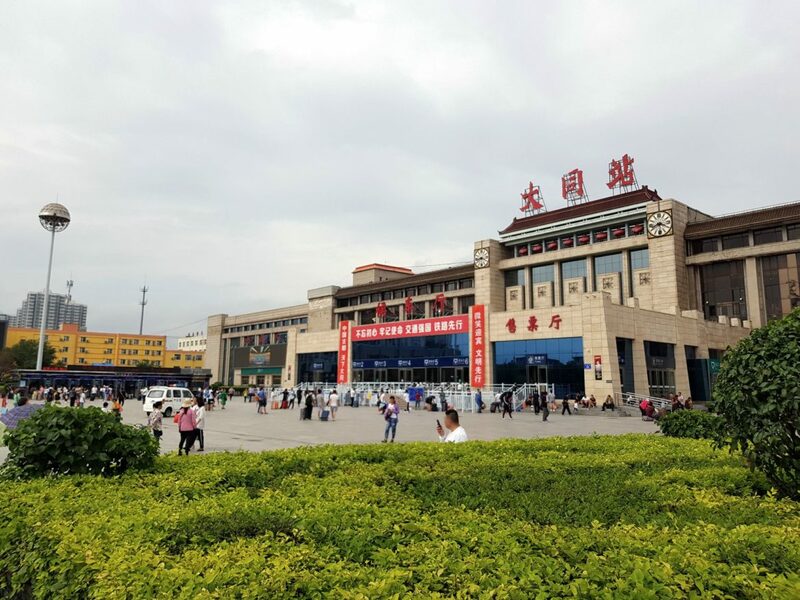 At the same time, we also bought tickets from Jining South station to Erlian. Trains are limited to two ones per day, and we took the one at 0:55 in the morning (the one at noontime has only standing tickets left). Since it is close to 6 hours overnight journey, we were choosing 100 CNY hard sleeper (middle beds). This would leave us some room between 7 pm and 1 am to have dinner etc. at Jining. That was the plan, and the reality was very similar – I did not expect one thing to be part of the plan – and that was diarrhoea. However, we stuck to the plan and moved to the station that was luckily very spacious and clean (and the most important with clean restrooms). The train was delayed by 2,5 hours, but it did not matter since we still had plenty of time in Jining. The coach and its seats were ok and quite comfortable despite the fact it was crowded. 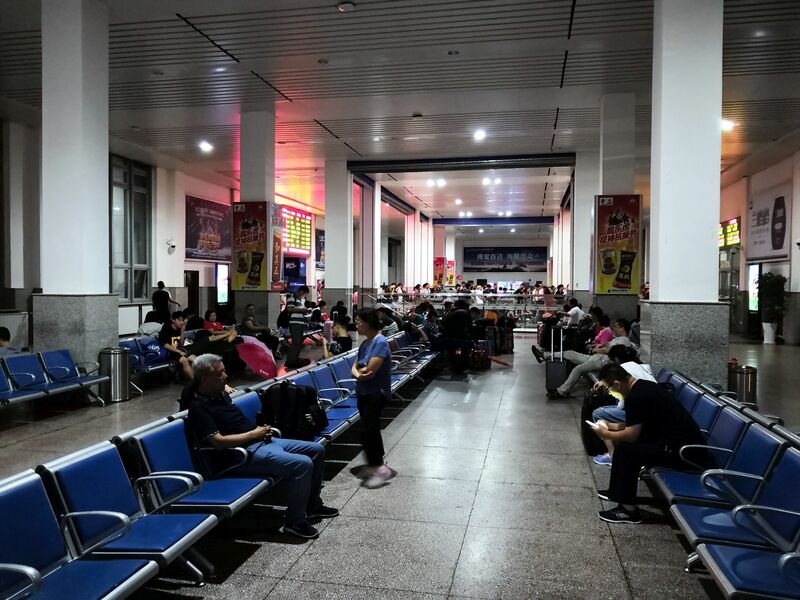 The station in Jining is not so organised and sized, but again, it was fine for us. Hard sleeper was more than suitable for 6 hours overnight ride (I guess it would be easy to sleep there, however, I could not decide whether to sleep to go to the restroom again, whole night). Erlian at 7 am is sort of sleepy hole. Nevertheless, it is a relatively nice city and don’t worry to take a rest or night in there if it would be best for your schedule. The taxi driver was asking us whether we were heading to Zamiin Uud and offering a ride for 100 CNY per person. Based on other articles it seems to be regular price, so we accepted. However how it works is that taxi bring you to the place where jeeps are located, and you change to the jeep. It means a million km old Chinese type completely refurbished with a ducktape. So far it was fine, the problem started when the taxi driver asks for additional money for a ride between the train station and jeep place. We said no, however, we gave him 10 CNY at the end. He was not satisfied, but we did not pay more. Then he argued with a jeep driver, and I think he got something extra, but in the end, everybody was pissed off, so that is not the best business strategy. Border opens at 8:30 am so we waited 1 hour if somebody else joins us (one Mongolian guy did) and then we were moving to the border just in time of the opening. The process itself is quite complicated, however easy to follow. 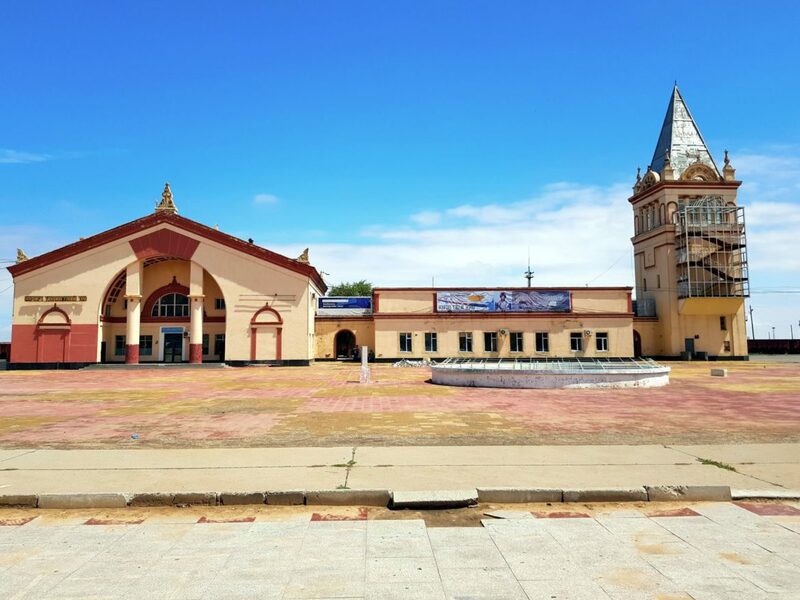 We had to get off the car and went to the nice border building on the Chinese side, then waited for our driver, we presented our exit stamp in our passport to border guard and were free to go to Mongolia border. The process was the same there, just waiting for our jeep was sort of long, and the building was not so nice. Worth to mention there were 5 or 6 ATM’s at the border building, therefore, there was no need to exchange money before crossing the border. 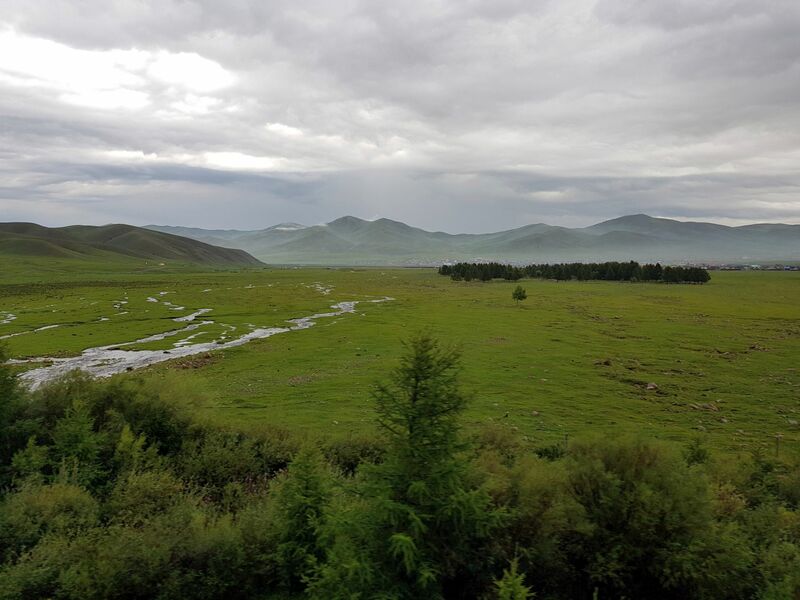 Finally, we reached Mongolia. 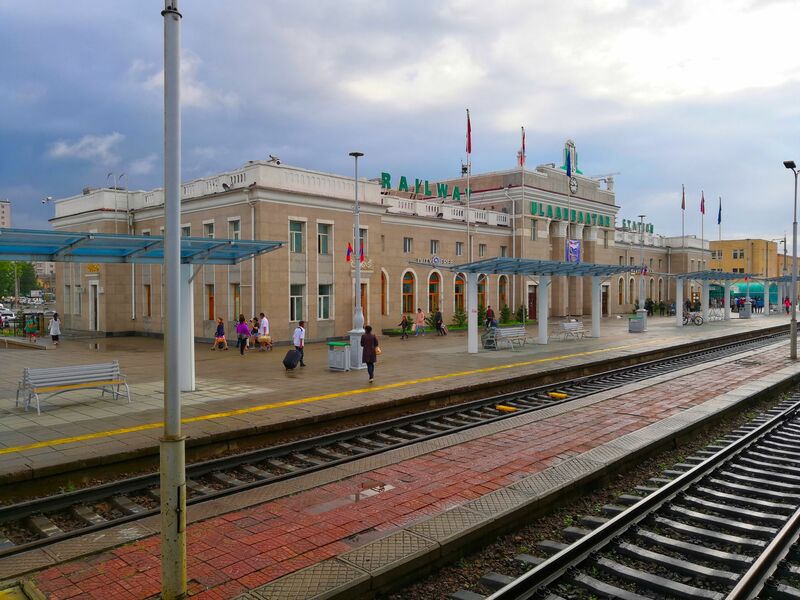 We wanted to cross the border as soon as possible to buy train tickets in Zamiin Uud to Ulaanbaatar for the same day. 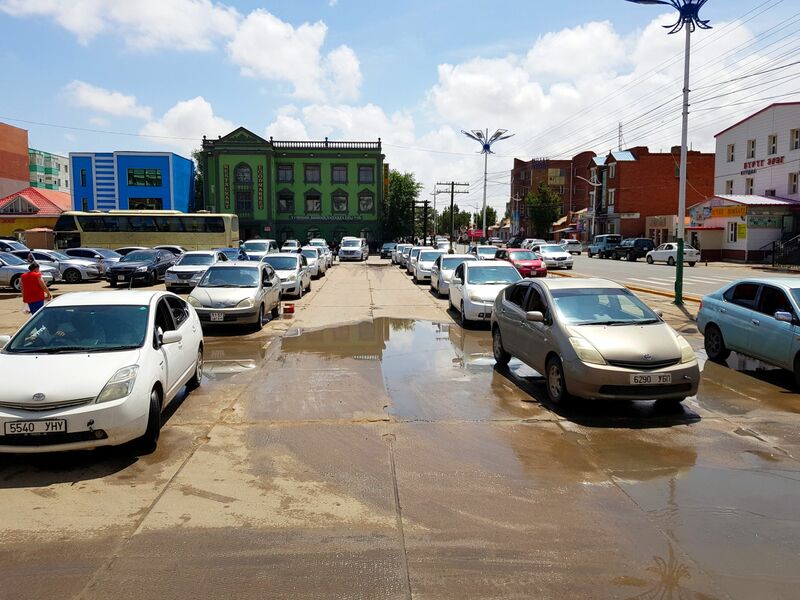 Another option would be to stay overnight or take a car to UB (there should be at least a few people offering a ride in front of the train station). However what we heard the price of the car is double the train price. And since it was early morning, we managed to get Soft sleeper tickets (4-bed coupe) without any issue. 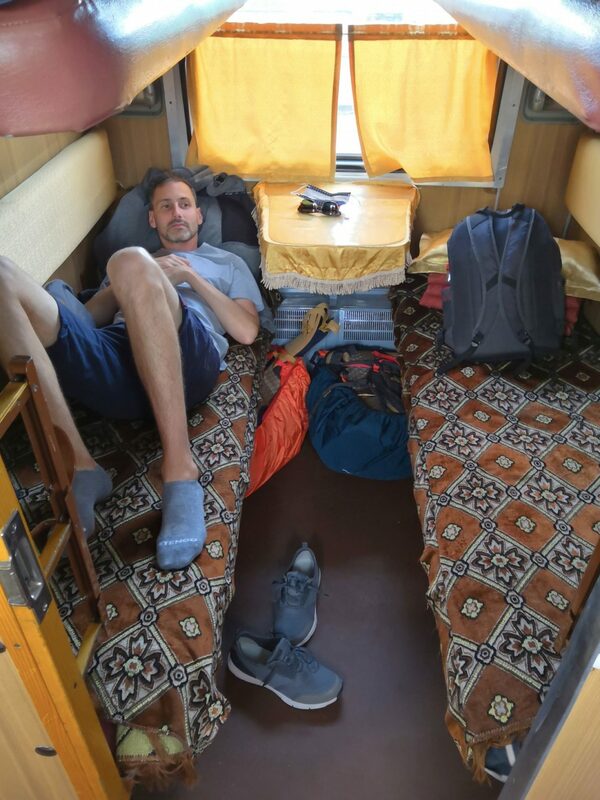 Price for the 14 hours ride was 42,000 MNT and included clean sheets and also a bag of tea or coffee, which was a nice touch. The only downside is that we had to wait until 6 pm in Zamiin Uud. Luckily there were plenty of options to eat, buy groceries or to sit, read a book and wait for the train. The couch is old but otherwise very comfortable and clean, and I slept the whole night. 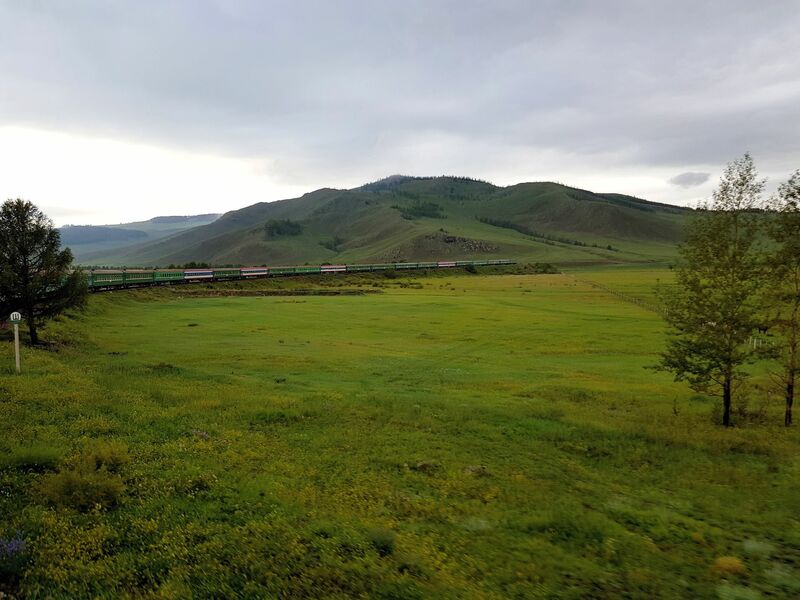 Morning on the train was amazing since you could see the entire green country with its horses and gers covered by the sun. 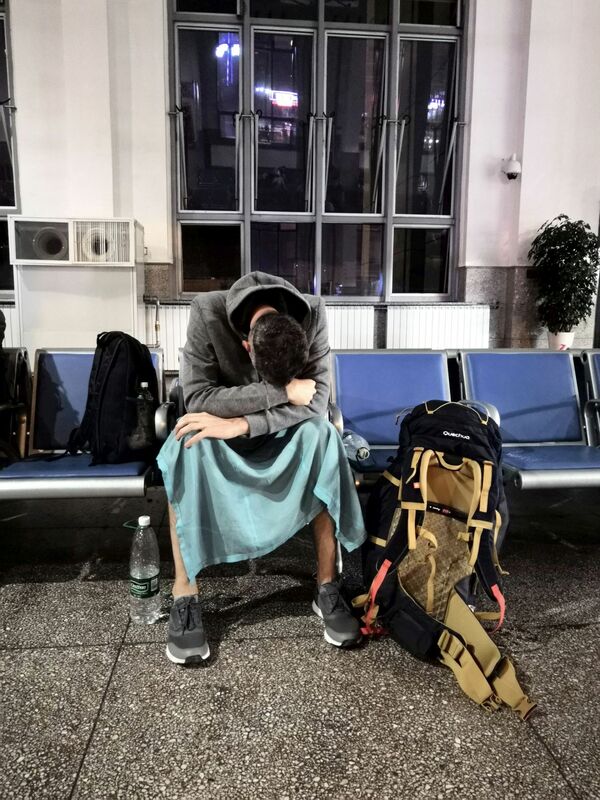 Time: 2 hours train from Datong to Jining, 6 hours lay-off (if the train on time), 6 hours from Jining to Erlian, 2 or 3 hours to cross-border, 8 hours waiting time for the train in Mongolia and 14 hours in the train. Total it is 39 hours (however you get at least one proper sleep). If you count from Beijing that would be an additional 5 hours on the train, I guess. 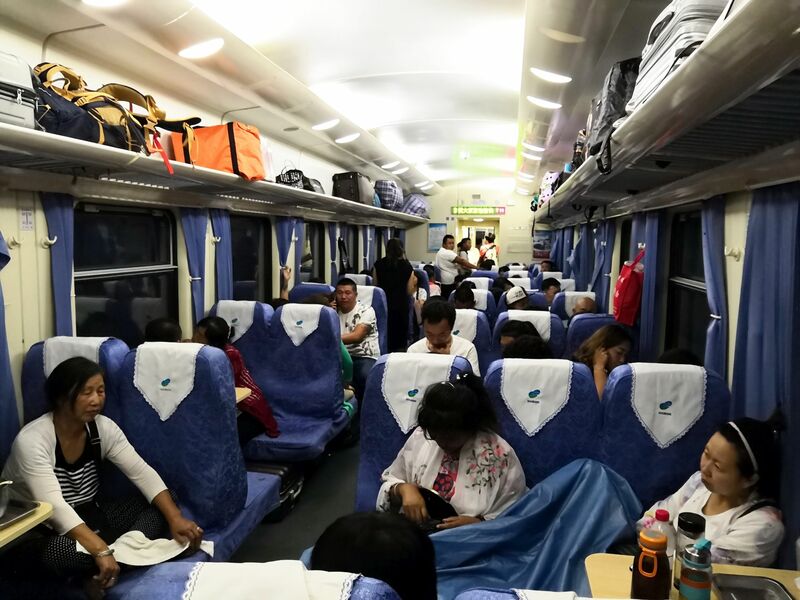 Money: train Datong to Jining Hard Seater 21 CNY (3 USD), train Jining to Erlian Hard Sleeper 101 CNY (15 USD, jeep 100 CNY (15 USD), train ZU to UB 42,000 MNT (17 USD). The total is roughly 50 USD. 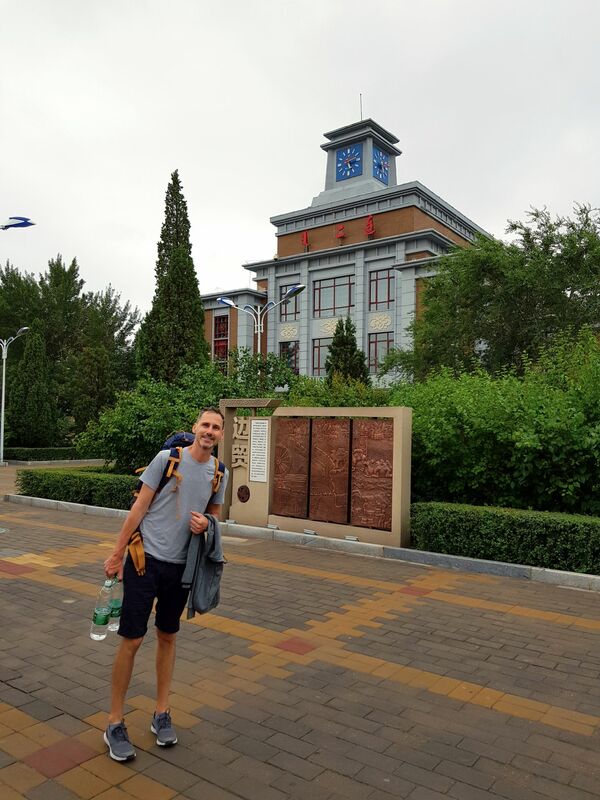 Again if you plan your trip from Beijing, it would be maybe 15 USD on top of it.